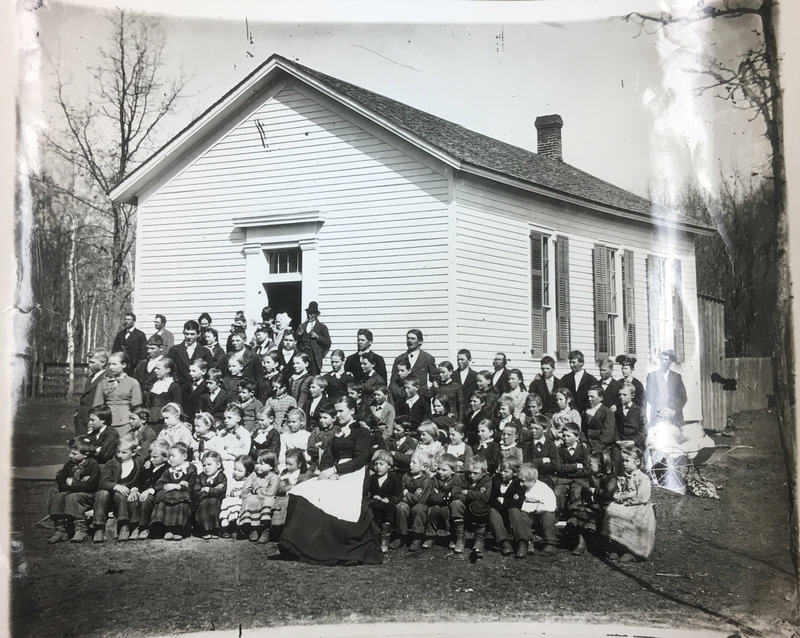 This one room school house, constructed in 1869, served 8 grades. Site today is North Main Street. Later the building became a social center for the community.